Open House opportunities at the McAllister! Having an opportunity to step foot in a home that’s being built by a homeowner is an invaluable experience on your home building journey. Photos, color swatches and granite tile samples can only do so much. It’s a lot more illuminating to actually step inside a completed home to see how it feels. That said, sometimes it’s worthwhile to step inside a home that isn’t completely built in order to see behind normally closed walls and get a firm grasp of the construction quality found in ladic.info-built homes! We call them , and they let you see firsthand the craftsmanship that goes into the homes we build. 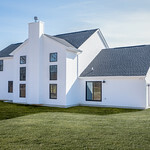 We recently hosted one April 3, at a McAllister in Sandusky that’s currently being built by a soon to be ladic.info homeowner. Team members were eager to answer attendee questions and lead tours throughout the home. In addition to Muddy Boots events, we like to bring prospective homebuilders in for our “Under Construction” events, which feature homes that have cabinets, lights and other features installed, but no flooring. 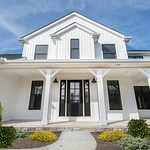 Like the Muddy Boots events, these tours let homebuilders witness the sound quality of work that goes into each and every ladic.info build, so as to assure you of their caliber. Interested in seeing behind closed walls at such an event? Luckily, we have an Under Construction Open House taking place at the same McAllister home next month, on Sunday May 8, 1 p.m. to 4 p.m.
We will also be hosting a Realtor Open House event for preferred realtors to walk through the home before the homeowners move in on, Tuesday, May 17, 11 a.m. to 1 p.m. The ranch-style McAllister home is the perfect mix of wide-open casual spaces and intimate formal areas. With an eleven-foot ceiling in the dining room and foyer and 9-foot ceilings everywhere else also add to the sense of spaciousness. The garage, master bath and back of the home have been extended, bringing the total square footage to over 2,000. And a sunroom and covered back porch have been included, blurring the line between indoors and out. This is an Open House you won’t want to miss! Join us this weekend for the Cedar Hill Tradition and Franklin Classic Open Houses! You don’t want to miss out on seeing this beautiful home! Questions about the McAllister or these events? Get in touch. See you soon!